This was the inscription Whit wrote in the book he put in my Christmas stocking this year. 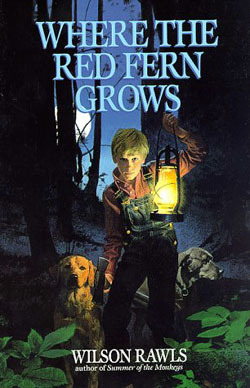 It was perfect for the book, Where the Red Fern Grows, a novel by Wilson Rawls that I read in Mrs. O’Brien’s fourth grade class. But mostly, I read it at night with Mom that year in my bed at night, turning page after page, asking her if she thought it would be OK if we read ahead of what I was assigned. Just a little bit. And of course, she always said yes. So, what have I been doing with my half days? Spending them with old friends, of course. Oh, and napping. And surfing the Internet. And watching election coverage. So, I know this is blog faux pas, but I need to respond to a question poised by Whit. I actually got those boots in Oxford years ago. And while I am clearly a shoe guy, I get more compliments on those boots than any other pair of shoes.And I cried in that story. I think it’s still the only movie I teared up in as a kid. Well, that and the NeverEnding Story. I reread it last year and sobbed like a child. One of my all time favorites— an old friend. Well, said.